Can they build a future on hope alone? For years nurse and grief counselor Christie Bates has been teaching her patients to confront their fears, express themselves and trust in hope. But as her feelings for cancer survivor Eli Roberts and his two children grow, can she overcome her own fear and love a man who lives every day with the possibility of recurring illness? Tackling cancer and single parenthood simultaneously has turned Eli into a devout realist. Which is why he finds Christie's perpetually upbeat attitude so aggravating. Still, despite himself, she's making a place in his heart. If only he could offer Christie more than an uncertain future. or in Kindle form and on Nook. “So, why were you two talking about me?” Eli probed, shifting in his shining black Oxfords. In the background, the piano keys banged out the song “Let’s Do It,” an off-key chorus accompanying it. Gran’s husky contralto rose above the rest, belting out the lyrics, “Let’s fall in love…” as she gazed down at an eyebrow-waggling John. Why was life so uncomplicated for them? They were enjoying each other’s company, plain and simple. So why, when it came to her and Eli, did their distance seem insurmountable? 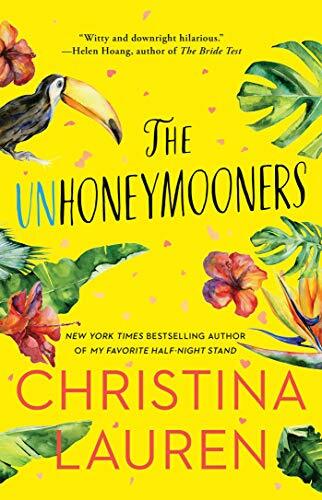 “Something about Becca thinking we like each other.” Christie’s voice came out unevenly—he was standing very close to her, near enough that she could feel the warmth of him. “Hmm. Guess she knows how to read her dad, at least.” He ran a hand through his hair, the intensity in his eyes making her flinch and turn away. Her chest rose and fell, colored dots appearing on the edge of her vision. She shook her head mutely, unable to meet his gaze. There were too many secrets her eyes might tell. He cupped her elbow and steered her farther from the party guests until they stood alone in a far corner. A sign outside the window cast red light on his pale face. His urgent tone made her look up into his pleading eyes, the surge of hope in their depths making her heart leap. She nodded and felt his hand tighten, his hold draw her close. Her eyes shut, and she shivered at the caress of his breath against her temple. This was it. All this time, imagining what it would be like to have Eli’s arms around her, to feel him against her, their hearts beating together…it was close to coming true and she wasn’t going to deny it any longer…even though she knew she didn’t deserve any of it. And Eli needed to know why. She wanted to admit what was in her heart before things went further, but she became suddenly conscious of the quiet crowd and the dimmed lights. “Time to sing everyone,” Mary said. She carried a chocolate sheet cake with loopy writing and a blaze of candles. Luckily everyone was looking her way and not theirs. John pounded out the opening notes to “Happy Birthday.” Christie avoided Gran’s speculative gaze as she and Eli stepped from the shadows and joined the assembly. Her voice blended with the rest, her body relaxing against the warm arm encircling her waist. Time to tuck away her rational self and live in this perfect, happy moment. There’d be time enough for doubts later. The group laughed then hushed as he closed his eyes and inhaled long and deep. Christie stepped aside to join Becca, Tommy and a tail-wagging Scout. Eli’s breath exploded from him, obliterating every pinpoint of light and smearing some of the candle wax on the frosting. Wow. Whatever he’d wished for, he meant it. “What happened to Mister I-don’t-believe-in-wishes?” John wheeled closer and ruffled Scout’s ears. “So, what’d you wish for, Dad?” Becca asked, grabbing hold of Tommy’s finger as it inched toward the cake. When the lights came back up, his eyes leveled on Christie. 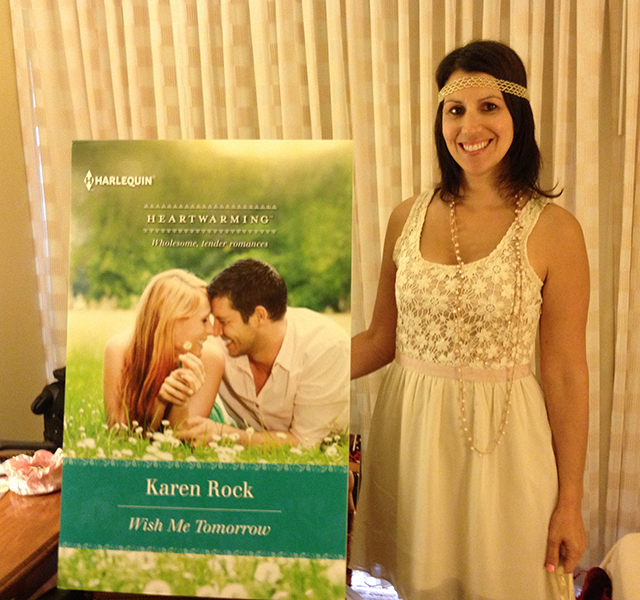 Since Karen Rock’s grandmother passed her shopping bagfuls of Harlequin Presents as a teen, it’s been her dream to add her voice to the Romance genre. 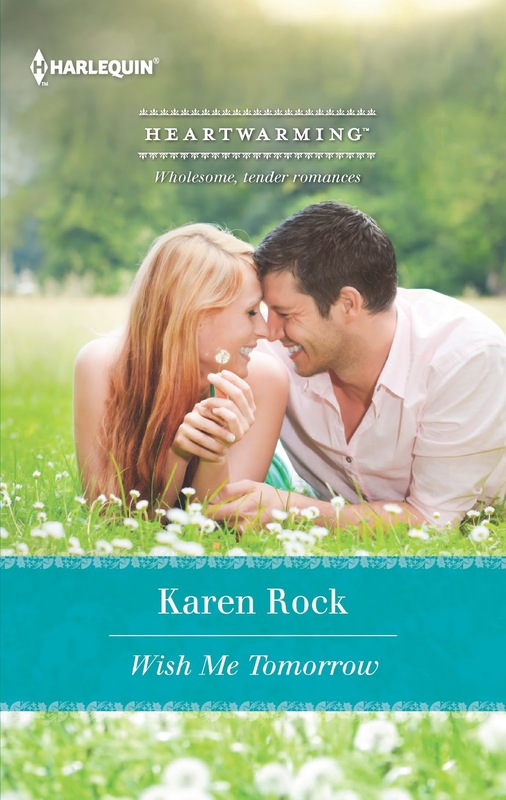 Now an author of Harlequin’s latest contemporary line, Heartwarming, Karen is thrilled to pen wholesome, tender, deeply romantic stories that all can relate to. Her first novel, WISH ME TOMORROW, is out in September 2013 and her next, HIS HOMETOWN GIRL, is out in spring 2013. 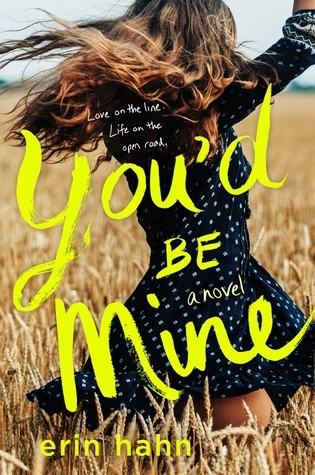 Additionally, Karen is a young adult contemporary romance co-author with fellow Harlequin author, Joanne Rock for the CAMP BOYFRIEND series that debuted July 2013 with Spencer Hill Press. When she’s not busy writing, Karen enjoys watching anything starring Meg Ryan and Tom Hanks, cooking her Nona’s family Italian recipes, and occasionally rescuing local wildlife from neighborhood cats. She lives in the Adirondack Mountain region with her husband, her very appreciated beta-reader daughter and two King Charles Cavalier cocker spaniels who have yet to understand the concept of “fetch,” though they’ve managed to teach her the trick! Hmmmm… wonder how that happened?! She loves to connect with other romance fans! Please check out her website at http://www.karenrock.com, her Facebook page at https://www.facebook.com/karenrockwrites, and follow her on twitterhttp://www.twitter.com/karenrock5 or Goodreads at http://www.goodreads.com/karenrock. No. I don;t have any family member or someone I know who's close to me who has CA or had cancer.